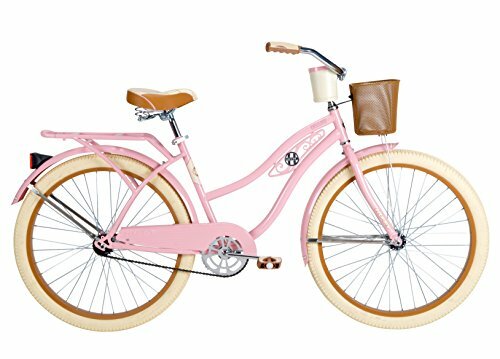 12 Cute and Girly Pink Bikes for Women! 12 Girly Pink Bikes for Women and Girly Teens! Now it’s time for some girly pink bikes! Pink bikes are among the most preferred color choice for women’s bicycles! There is nothing more fun than riding a cute pink beach cruiser bicycle around town! 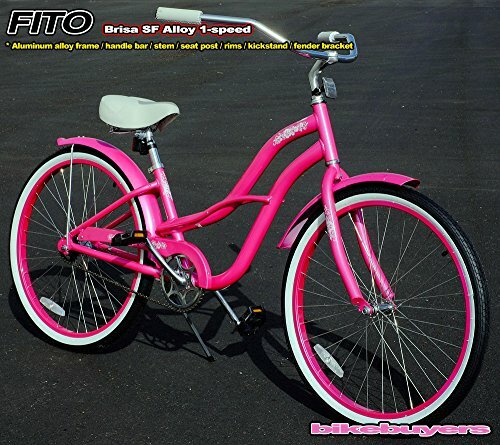 On this cute bike page, you will find the girliest and prettiest pink bikes for women being sold online! Most pink bikes from here will be pink cruiser bikes, since they are the most comfortable bikes for women! I hope you enjoy my selections and have fun choosing your next pink cruiser! 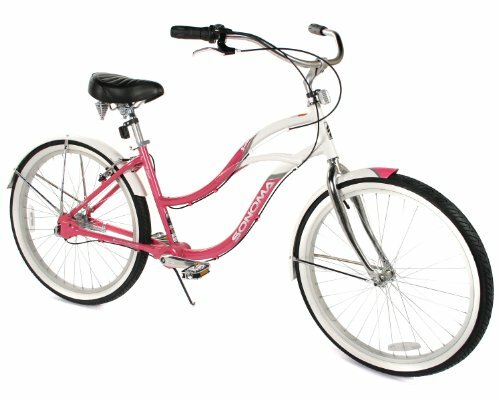 Metallic Pink 24-Inch Cruiser Bicycle! 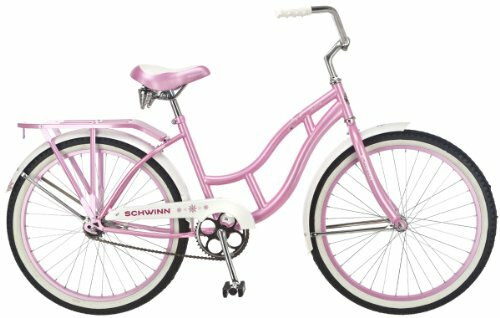 This is a gorgeous and very girly 24-inch metallic pink Schwinn cruiser bicycle for women! I love how comfortable the seat and handle-bars are and I love the pink color! It is a one-speed bike with coaster brakes. The frame is made from steel, so it is a very solid bike. 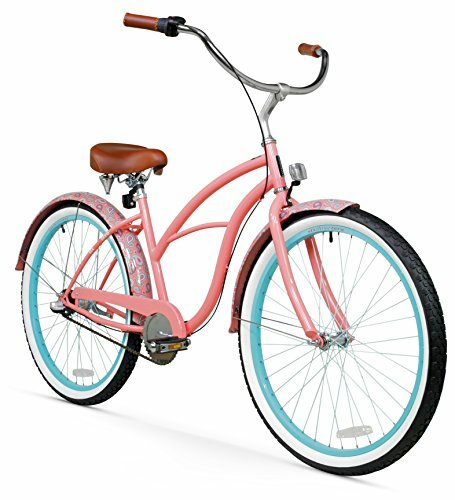 Fun Women’s 3-Speed Pink Beach Cruiser Bike! Another awesome and fun pink beach cruiser! I also love the comfortable seat and very high-handlebars! Perfect to ride in an upright position and enjoying everything around you! It is great to ride and very durable! This is a beautiful pink and white bike for women! It is also a chainless bicycle, which means it’s even more comfortable to ride and low-maintenance! In my opinion, of all the cute bikes being sold here, this cute pink bicycle is the best!! I absolutely love everything about this cute bike! 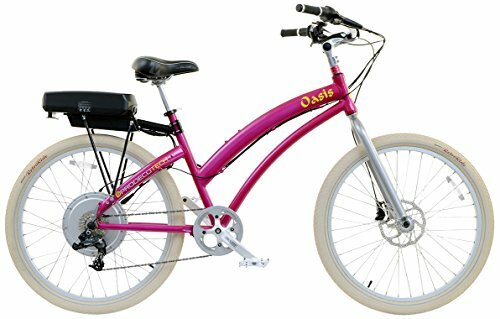 I love the size, which is perfect for kids and short women, I love the delicate baby pink color, I love how comfortable the seat and handlebars are and I love the pretty girly designs too! It is very easy to assemble and will definitely make a wonderful gift idea for any girl or woman in your life! It is a cruiser bike! Gorgeous Coral Pink Road Bicycle for Women! I am now officially in cute pink bikes heaven! What a cute and very girl gorgeous coral pink bicycle for women!! I love the fact that it is also a very lightweight and fast commuter bike! Perfect for exercising or just going for a long and pleasurable ride! I love the design and feminine look too! How about a PINK Electric Bicycle? How about going with a pink electric bike? How awesome will that be? I have an electric bicycle myself and I can tell you it is so much fun to ride! You can even use it as your means of transportation to save gas! The great thing about this gorgeous metallic pink electric bike is that you can also alternate between pedaling or twisting the throttle to use the motor and relax! Gorgeous Electric Powered Pink Bicycle for Adults! This beautiful pink electric powered bike is definitely one of the best electric pink bicycles for girly women being sold! It’s not only VERY pink and girly, but it’s also very cute! It also goes up to 20 mph without pedaling! If you were looking for a gorgeous hot pink girly bike for adults, this is it! Check out the cute girly flower design on the frame! This is a 26″ single speed bicycle ladies! Looks very girly, but at the same time it is fast and very smooth! Perfect for alternating between exercising and riding for pleasure! So…. is this ‘the one’? Perhaps you were looking for a gorgeous retro-style baby pink cruiser bike with a handy front basket instead? Just by looking at it we can see it is very comfortable to ride! The handlebars are very tall and the white seat is also padded! Perfect leisure bike for a girly lady! 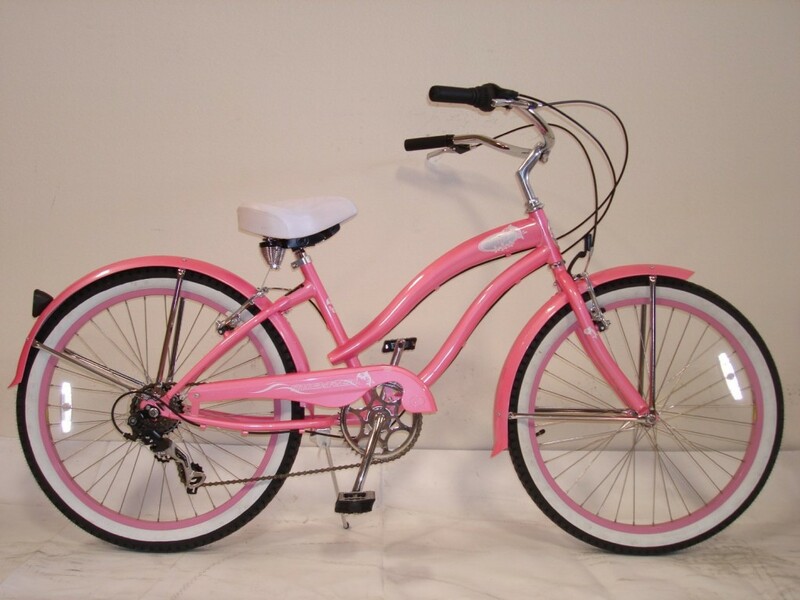 This beautiful 24 inch pink bicycle is just perfect for a teen girl or short women! This is also a 7-speed cruiser! I love this shiny pink color! 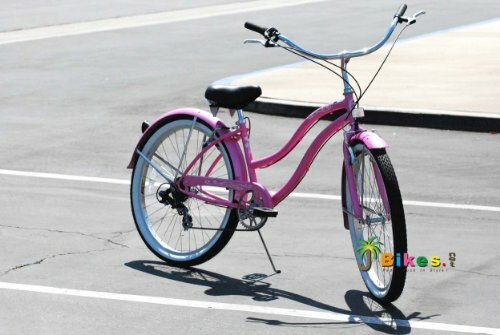 *I hope you were able to find a gorgeous pink beach cruiser bicycle for you!